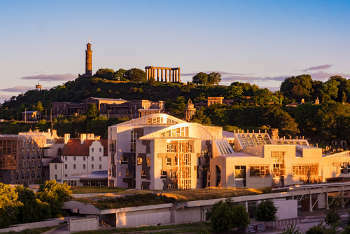 A row has broken out over local government funding in the Scottish Government’s proposed budget, which includes more than £5bn capital spending 'to grow and modernise infrastructure'. Although spending on councils has increased to £11.1bn, the Convention of Scottish Local Authorities (COSLA) has calculated that this is outweighed by £373m of new commitments and £75m of ringfencing in capital budgets. It amounts to a cut to local authorities’ core budget of £175m and £17m in capital funding while council tax increases will again be capped at 3% and there are no proposals for a tourist tax. COSLA’s president, Cllr Alison Evison, said: ‘There is no scope for local government to mitigate the impact of these cuts as there has been no movement yet on local taxation – the 3% council tax cap remains and there is no indication about discretionary taxation, including tourist tax. ‘It is extremely frustrating that, having worked well on a range of issues with the Government this year, our contribution to meeting key outcomes across Scotland has not yet been acknowledged. ‘What we have today is a bad deal for communities and for jobs. In past years, the budget has relied on the votes of Green MSPs to pass though the Scottish Parliament. he Scottish Government's finance secretary, Derek Mackay, said: ‘Our decisions on taxation have resulted in a more progressive tax system, protecting those lower and middle income taxpayers while raising additional revenue to invest in our public services and the Scottish economy. This article first appeared on themj.co.uk.